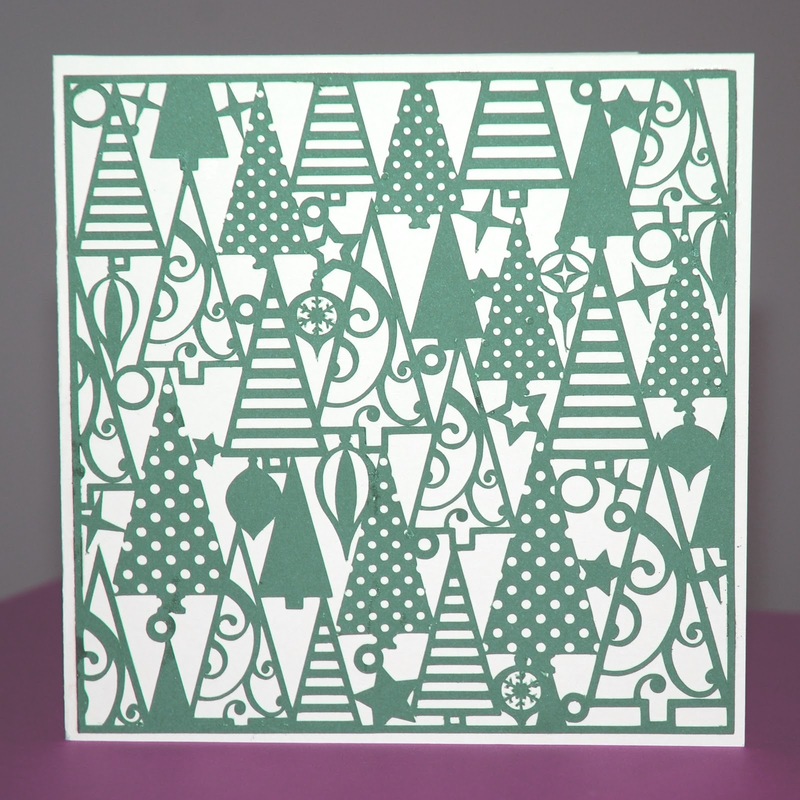 CardMonkey's Paper Jungle: Christmas is in 223 days ... and NOT counting! 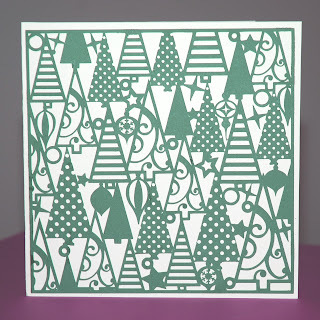 Let it be known that I have NOT yet started the 2012 Christmas Countdown but I wanted to try out my Silhouette Cameo cutting an intricate pattern in a smaller card-size. This lacy winter tree scene depicted here was designed by Lori Whitlock for Silhouette's online image store. Lori designed it to be a full 12x12" scrapbook background page. I reduced it to 5.75" square to mount it on a 6" square cream colored card. I wondered if the Cameo would be able to capture/cut the tiniest cuts -- see the snowflake at the very bottom? Unbelievably, the Cameo cut neatly through the Core-dinations cardstock I used, and the off-cuts adhered firmly to the cutting mat. I was amazed at how little "weeding" I had to do before affixing this card to the ivory base and calling it done. Have you been attracted to the Silhouette Cameo yet? WOW that is good, will have to wait until my Cricut gives up the ghost, the thing is I was torn between the 2 and then an offer came on the shopping channel and was drawn in, luckily I managed to get a program that I can use with the Cricut before it was all shut down, Whew!